Egyptian monuments rival the grandeur of our most modern buildings today and have mesmerized humanity for centuries. Landmarks have been connected with gods since ancient times and the Great Pyramid of Giza is widely seen as one of the most remarkable achievements of mankind. This construction was founded by civilizations who lacked knowledge of wheels and were technologically limited, compared to modern standards. However, the program explained that the makers of the monument were people with high-tech knowledge, something that ancient Egyptians could not have. In the Netflix documentary "The Pyramid Code", conspiracy researchers and theorists questioned the possibility that the Egyptian pyramid was "built with high technology". 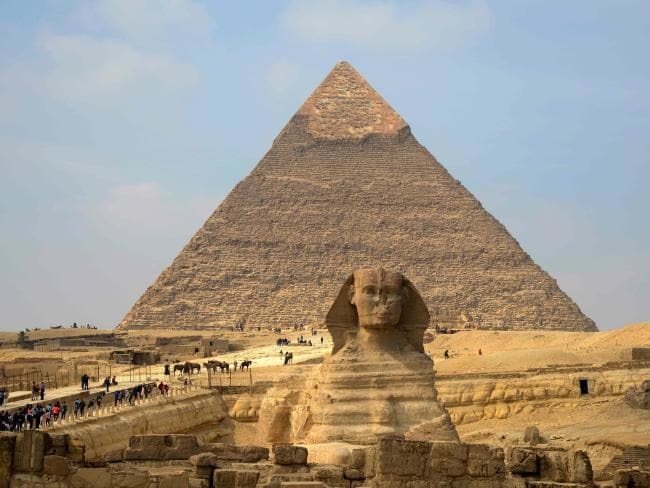 The Great Pyramid of Giza is estimated to have around 2,300,000 stone blocks weighing from 2 to 30 tons each and there are even a few blocks that weigh more than 50 tons, all of which are very smooth and flat with an accuracy of 1/100 inch, about 100 inches thick and weighs about 15 tons each. Dr. Carmen Boulter, PHD, claimed: "As long as we think that the ancients cannot use high technology, then we don't look for it. "However, the proof is right before our eyes." Evidence of high-level knowledge can be found at the Giza Pyramid because the ends of the four sides are made with extraordinary levels of precision, forming amazing pyramids. An article about the Great Pyramid of Giza appeared in the March 2000 edition of the Egyptian magazine, Rose El-Yussuf. According to the article, in 1988, Ancient Egyptian expert Louis Caparat, discovered an alien mummy in 1988 in a secret chamber of the Great Pyramid and, "found in a transparent crystal coffin. The alien appears hibernating. 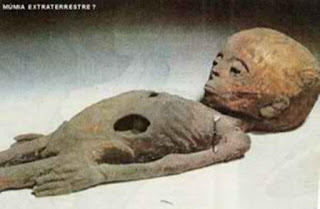 It is believed to be" humanoid, "which is a blend between the space race and human DNA. The papyrus found near the alien's body tells of the encounter of this creature with Pharaoh Khufu. Apparently, it is said that this convinced Pharaoh to build the Great Pyramid as a tomb for this creature after he announced the arrival of other creatures of his species in the future (Source: Egyptian magazine "Rose El-Yussuf" broadcast by "The World Of The Unknown" in Issue 283 April 2000). It was also noted in the papyrus that the people who lived in Egypt during the Neolithic period were very mixed, mostly consisting of people from the Mediterranean and Negroid who were dolichocephalic (a Greek word meaning having an elongated head). The latest update on this is that "Caparat sent a message to a colleague in Spain, Francisco de Braga, a biologist, who invited him to come to Egypt" to take samples of blood, cells, tissues and DNA from dead aliens. "But when Dr. de Braga arrived in Cairo, he was detained by the Egyptian Minister of State Security and boarded a plane back to Madrid. According to Rose El-Yussuf, dead aliens were taken to a laboratory in a location kept secret by Egyptian military intelligence.